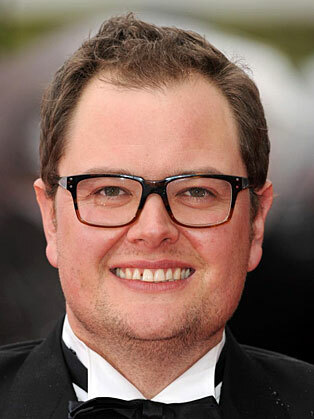 Since winning the BBC New Comedy Award for Stand-up as well as CityLife Best Newcomer of the Year in 2001, Alan Carr has become one of the hottest comedy stars in Britain. The success of the first series of his own chat show, Alan Carr: Chatty Man, in the summer of 2009, led to Channel 4 commissioning umpteen further series as well as Christmas Specials and his summer, New Year and Grand National Specstaculars. Now Alan Carr: Chatty Man is booked to continue into 2015. In September 2013, the 100th episode was broadcast with A-list guests, Justin Timberlake and Rihanna. Alan’s hit Channel 4 chat show Alan Carr: Chatty Man continues to go from strength-to-strength. Alan is the winner of the 2015 National Television Award for Best Chat Show Host, 2014 Royal Television Society Award for Best Entertainment Performance, the 2013 BAFTA for Best Entertainment Performance and 2013 British Comedy Award for Best Comedy Entertainment Personality. In previous years a clutch of awards from the 2012 National Television Award for Best Talk Show, the 2012 Loaded LAFTA Award for Best Stand Up and the 2010 TV Choice Awards for Best Entertainment Show. There were also nominations for Best New British Comedy & Best Comedy Entertainment Personality at the 2009 British Comedy Awards. Alan Carr: Chatty Man is now firmly established as one of the nation’s favourite entertainment TV shows. Guests from past series include: Justin Timberlake, Lady Gaga, Robin Williams, Pharell, Britney Spears, Cameron Diaz, Taylor Swift, Vin Diesel, Adele, Justin Bieber, Grace Jones, Drew Barrymore, Lionel Richie, David Walliams, Mariah Carey, Russell Brand, Samuel L Jackson, Miley Cyrus, Rihanna, Bette Midler, Sharon Osbourne, One Direction, Gok Wan and Miranda Hart. Alan Carr’s New Year Specstaculars aired every New Year’s Eve since 2011, on Channel 4 and his Summer Specstaculars include a Grand National Special in 2013 and 2014. Alan’s Specstacular guests have included Justin Bieber, Bruno Mars, Russell Brand, Jack Whitehall, Abbey Clancy and Mo Farrah. Alan’s BBC Radio 2 show, Going Out with Alan Carr, ran every Saturday between 2009-2012 with Alan presenting alongside the lovely Melanie Sykes.